On this edition of Conscious Living, Wendy talks to the Psychic Twins about how they recognized and cultivated their psychic abilities from a very young age, and how they have used those abilities to predict major world events.With over twenty years as professional clairvoyants, The Psychic Twins have shocked audiences across the world with their eerily accurate prophecies, including the events of 9/11, JFK Jr.’s death in a small plane, the Times Square terrorist incident, and all the winners of the 2009 Oscars. Terry and Linda Jamison are the world's most documented psychics. Authors #1 bestsellers Psychic Intelligence and Separated at Earth, The Psychic Twins predicted 9/11 and most of the major world events since 1998. They have also reunited families, helped solve murder cases and find missing persons, saved marriages, and diagnosed illnesses using their unique gift of automatic writing. The Psychic Twins’ two appearances were Tyra Banks’ most popular shows in five years, and Tyra’s website crashed both times, due to an overwhelming response from enthusiastic viewers! Terry and Linda are the authors of the #1 bestseller Psychic Twins Intelligence. Their bestselling book Separated at Earth: The Story of the Psychic Twins describes the twins’ amazing life journey, their personal struggles, the magical night circus that they created in the 80s, and public opposition to their highly unusual work. 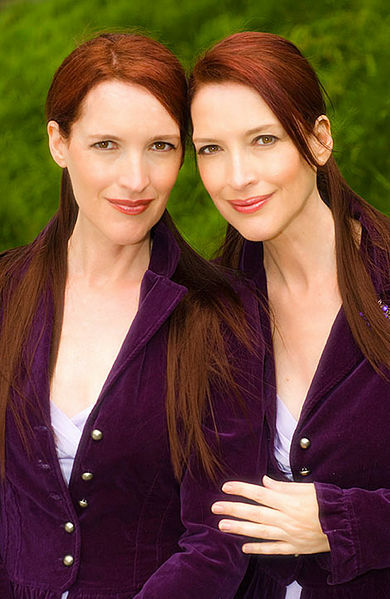 The Psychic Twins have hundreds of appearances to their credit on international TV and radio since 1990 including the ABC Nightline Prime “Beyond Belief” Series, The View (ABC), and Good Morning America (ABC), all in 2011.